We are proud to recognize these Wall of Honor Inductees! For more information about the nomination process, contact 717-775-5170 or office@thelionfoundation.org. The 2018 recipient of this distinguished honor is Mr. Gregory Sutliff, the Valedictorian of the Camp Hill High School Class of 1949. After graduation, Mr. Sutliff attended Brown University under a United States Navy Scholarship. He later spent three years serving on the USS Soley and with the 3rd Battalion 3rd Marine Division in Japan as a naval gunfire controller. Upon return from the military, Mr. Sutliff attended Dickinson Law School in 1959 and began working full-time as a dealer at Sutliff Chevrolet, eventually rising to general manager in 1962. During his career, Mr. Sutliff became Chairman of the National Chevrolet Dealer Council and joined the boards of the Pennsylvania Dealer's Association, the National Dealer's Association, Commonwealth Bank, Capital Blue Cross, Polyclinic Hospital, the Camp Hill School District and The Lion Foundation. He also served a term on the Camp Hill Borough Council. Mr. Sutliff remains a major United Way contributor. The Sutliff Family Auditorium, located in the Camp Hill High School, is named in his honor. The Greg Sutliff Auditorium at the Penn State University Law School named in his honor as well. Courtesy of the U.S. Navy, the U.S. Marines, General Motors and his own wanderlust, Mr. Sutliff has enjoyed many travels over the years. He is married to Susan Sutliff and they have six children (all graduates of CHHS) and 13 grandchildren. He has lived in Camp Hill for 78 of his 86 years. As The Lion Foundation’s most recent Wall of Honor recipient, Mr. Sutliff will be honored during an in-school assembly and recognized at The Lion Foundation Winter Celebration on February 2, 2019. Congratulations to Mr. Sutliff on this most deserved honor! 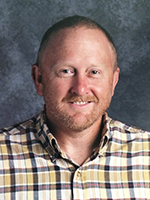 This year The Lion Foundation bestows its Wall of Honor Award to Chad Gallaher, a Camp Hill Middle School teacher and alumni from the Class of 1987, and the Late Essie Witmer, a Camp Hill Elementary School teacher. Each year at the Winter Celebration, this award goes to Camp Hill School District Alumni and Staff who have served as exemplary educators, mentors and an inspiration to the students and members of our community. Most notably, Chad and Essie dedicated countless hours to organizing, creating, directing and staffing the Camp Hill Outdoor Program, which this year, celebrates its 50th anniversary. ​Chad and Essie’s dedication to the Outdoor Program serves as lasting proof that one person can have an impact on his or her community well into the future. This year The Lion Foundation is proud to acknowledge Chad Gallaher’s and Essie Witmer’s commitment and dedication to Camp Hill’s youth and community. Most small towns and communities are fortunate to have a few people who truly change their town’s face through their interest, attention, and involvement. Phyllis Shearer Mowery is one of these people and the reason why The Lion Foundation has named Phyllis, (or “Phyl”) as she is better known, as the 2015 recipient of the Camp Hill Alumni and Staff “Wall of Honor”Award. A lifelong resident of Camp Hill, Phyl had just retired from real estate in 2003 when her son Ted, then President of the School Board, asked her to help establish a much-needed organization capable of subsidizing academics, cultural, and athletic programs that would enhance the quality of life for all borough residents, specifically students enrolled in the School District.That lead to a key role in convening like-minded community leaders to successfully spearhead a 1.3 million dollar capital campaign that established what is known today as The Lion Foundation. Phyllis helped guide The Lion Foundation through its formative years, completing projects which included landscaping the high school/middle school, installing visitor’s bleachers at the Siebert Park Stadium, and building the Siebert Park Stadium Mowery Family Press Box, named for the family’s commitment to the Camp Hill Schools and Community. Phyllis also served as one of the first presidents of The Lion Foundation and continues to participate as an Emeritus member of the board. Phyllis was also instrumental in securing the 15 million dollar gift from Mrs. Grace Milliman Pollock to build and endow the Grace Milliman Pollock Performing Arts Center (PAC) at the Camp Hill School Districts’ Eisenhower campus. Phyl continues to remain involved as a PAC board member as the PAC settles in as a recognized venue for the Arts in Central Pennsylvania. During her years growing up in Camp Hill, and as a student in Camp Hill High School, Phyl participated in basketball, field hockey and color guard among other activities. Phyl then attended Gettysburg College where she joined Chi Omega fraternity, was captain of the cheerleaders, Outstanding Junior, Who’s Who in American Colleges and Universities, and the Gettysburg Honor Society. She graduated with a Bachelor of Arts Degree in Psychology. Phyl married the late Senator Hal Mowery, with whom she celebrated 60 wonderful years. Phyl has three children, Hal III, Ted and Dee, eight grandchildren and one great granddaughter. Her many activities included Den Mother and Brownie Leader, tennis and swimming instructor for the Boro recreation program, and volunteer tennis coach for the Harrisburg Academy and Camp Hill High school girls tennis teams. She serves on the Board of Directors of the United Methodist Home for Children, the Cumberland County Board of Republican Women, member of the Camp Hill Women’s Club, Daughters of the American Revolution, Board Member Emeritus of Holy Spirit Hospital, past Behavioral Health Chairperson, past Harrisburg Symphony Association Board, and [past] Comfort Care board member. Phyllis remains a Member of West Shore Country Club, where she is past ladies 18 hole Golf Champion and past ladies Senior Golf Champion in Pelican Landing, Florida. She enjoyed participating in tennis and holds several single and doubles titles. Phyl has been a lifetime member of Trinity Evangelical Lutheran Church, where she was President of the TMTM Class, and an alter guild member. Phyl loved being a “stay at home mom” so her work experience is brief, including Department of Public Assistance and Remedial Reading teacher at the Harrisburg Academy. After the children married and left home, Phyl became a Realtor, where she was consistently recognized as a “Pacesetter” and member of the Greater Harrisburg Board of Realtor’s Winners Circle. Upon graduation, Jim went on to receive a bachelor’s degree, with honors, from Swarthmore College and medical degree from the University of Pennsylvania Medical School. Following his internal medicine residency at UCLA-Harbor Medical Center, he completed his cardiology fellowship at Harvard University. Dr. Forrester is a professor of Medicine at the University of California, Los Angeles. 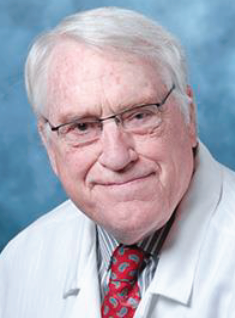 Since the early 1970’s he worked at Cedars-Sinai Medical Center, most recently as Emeritus Professor and formerly as Chief of the Division of Cardiology, where his work and research led to major advancements in cardiovascular treatment. For example, in the 1980’s, he and George Diamond, MD, created a diagnostic test that is used worldwide in cardiology to detect the probability of coronary heart disease in patients. He also advised a team that developed coronary angioscopy, which allows cardiologists to examine the surface of the coronary artery in patients who have suffered heart attacks. In addition to numerous awards and honors, Dr. Forrester has published over 400 full-length scientific manuscripts and Heart Healers: the Misfits, Mavericks and Rebels Who Created the Greatest Medical Breakthroughs of Our Times. 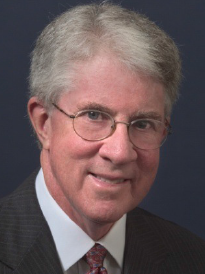 His honors include the Leon Good Award for excellence in laser research, nomination for the Woodward and White’s Best Doctors in America, and a Lifetime Achievement Award from the American College of Cardiology. The late Dr. Edward “Ted” Day Harris, Jr., the Wall of Honor award recipient for 2013, was born in Philadelphia July 7, 1937, to Edward D. “Ned” Harris and wife Eleanor, a longtime Latin and French teacher at Camp Hill High School. Ted was the youngest member of Camp Hill’s Class of 1954, having skipped second grade just before moving to Camp Hill ten years prior. Throughout his time in the Camp Hill School District, Dr. Harris excelled in sports, the arts, leadership and academics. In addition to playing on Camp Hill’s first Little League baseball teams as a kid, Dr. Harris served as an end and senior co-captain on the high school football team. Also musically inclined, he played flute in the high school band and string bass in the Blue Knights student dance band. He also sang in the county and district choruses and organized a barbershop-style close-harmony quartet with three classmates. 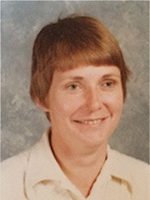 Dr. Harris held leadership positions in high school which included serving as president of the high school’s National Honor Society chapter, editor in chief of the Highlight school paper, and vice president of the Student Council. As valedictorian at high school commencement, Dr. Harris received honors in every academic discipline. This record of achievement continued later at Dartmouth College where Dr. Harris completed an undergraduate degree, and in medical school at Harvard University. During this time he also stayed connected with sports. While an injury kept him off the field, he managed the Dartmouth basketball team, which one year went all the way to the NCAA playoffs. After medical school, Dr. Harris settled into the field of rheumatology where he earned a national reputation as a leading practitioner, researcher, lecturer, author sought after for speaking engagements, and career advancements including Chair of Medicine at Rutgers University and later, Chair of Medicine at Stanford University. After retiring in 2003 at 66, Dr. Harris stayed active in his field, co-authoring The Textbook of Rheumatology, considered the premiere medical school text in that specialty. He also took on high-profile administrative posts as Secretary to Stanford’s Board of Trustees and Executive Director of Alpha Omega Alpha, the medical profession’s honorary society. With all this on his plate, he still managed to spend the summer months in Martha’s Vineyard attending to the important work of digging clams and golfing. ​Ted Harris passed away from a rare form of cancer in 2010. He is survived by his three sons, Ned, Tom and Chandler, and many family and friends that he continues to inspire. Ted was nominated by his classmates for this award.